Severus Snape. . HD Wallpaper and background images in the Severus Snape club tagged: severus snape severus bluray alan rickman harry potter proffesor harry potter and the prisoner of azkaban potions master. 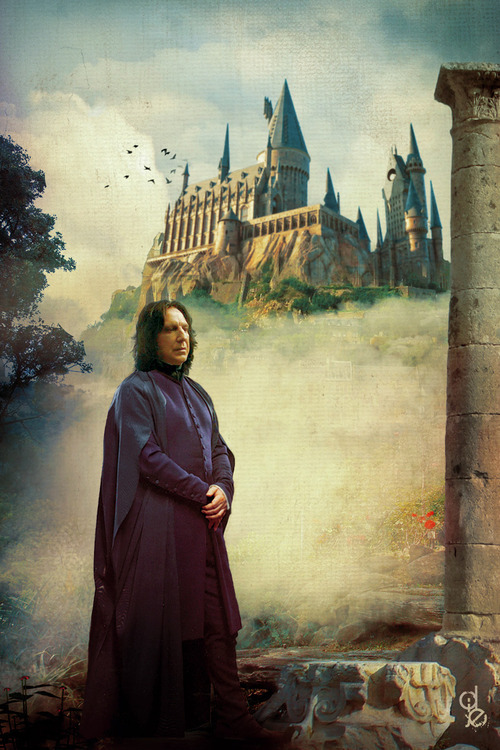 This Severus Snape fan art might contain cloak, street, city scene, and urban setting.